Wiki-fanatics brought Kosovo in the right digital spotlight! The world’s largest encyclopedia – Wikipedia is a free-access, free-content tool which has helped many of us while in school to not get lost and learn about places and things we didn’t see or experience ourselves. Saturday, March 19, 2016 was an important day for all Wikipedians searching for Kosovo online, because the Wikipedian community in Kosovo joined forces with the mission: to improve the quality and quantity of the content of Kosovo online. Wiki Editathon was a continuation of Wiki Academies held during past years, with the main goal of gathering online activists, researchers, literature lovers in order to add refreshing updates to the articles which are already available on Wikipedia. 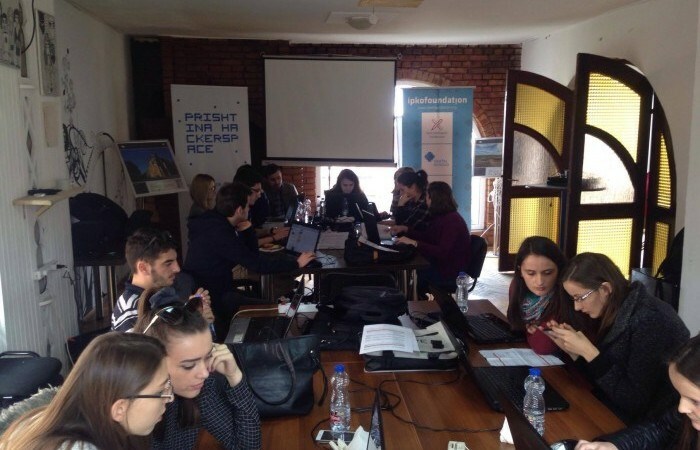 The event took place at Prishtina HackerSpace, which was the focal point of all the neophytes, writing freaks, experienced writers, those who are already familiar with publishing articles in Wikipedia and those who were engaged for the first time. IPKO Foundation staff was thrilled and inspired to see the passion of the participants to put Kosovo in the right digital spotlight which is definitely needed considering that our “eight-year-old country” has a weak appearance online. During this one-day event, many of the articles were added such as: DOKUFEST Film Festival, Cultural events in Gjakova, Binary numbers and many more. The content writers helped also on editing, translation, and extensions of links and references on the articles. Last but not least, they had the opportunity to socialize together and to share opinions with each other, an occurrence which naturally caused the creation of the “community of editors,” who will gather more often to edit articles on Wikipedia. Wiki Editathon will be a gathering of every two-months at Prishtina Hackerspace among friends, who, while having free coffee, will also make a positive impact on Wikipedia. This modest initiative would be open for everybody to join! Wiki Editathon was a result of a great team, partners, and friends. Thank You Prishtina Hackerspace, FLOSSK, UNICEF Innovations Lab Kosovo, Girls Coding Kosova, and mentors: Arianit Dobroshi, Petrit Augustini, Blerta Thaçi, Altin Ukshini for making this event happen and successful.